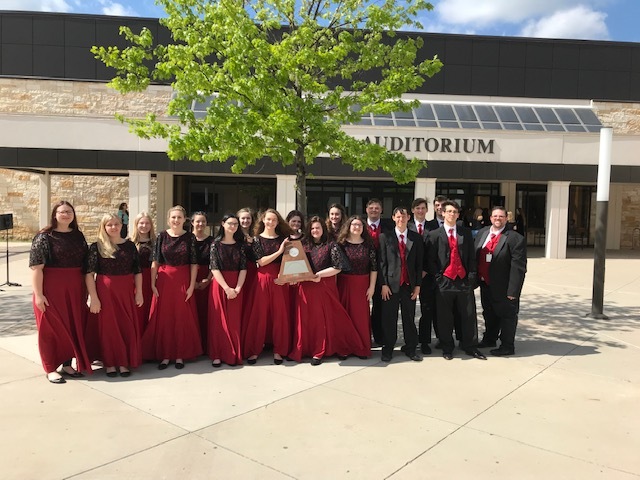 The Glen Rose High School 4A Varsity Choir competed in the Region 30 UIL Concert and Sight-reading Contest at Granbury HS on Thursday, April 4th. The Choir was awarded superior ratings for their stage performance and superior ratings for their sight-reading performance by a panel of judges. Their overall rating earned the status of sweepstakes. Congratulations GRHS Tiger Choir!